Blue eyes are normally associated with white coats. 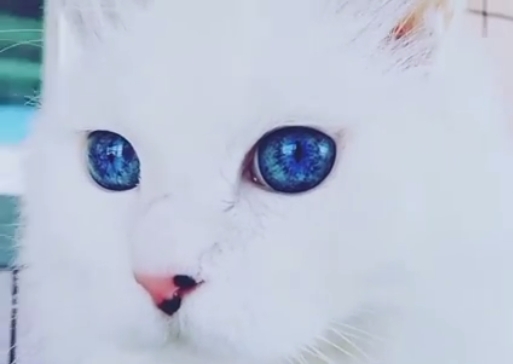 Blue-eyed-white-coated cats are rare — less than two percent of all cats. The coat and eyes result from a specific genetic factor causing low melanin production. The same stem cells create both coat and eye color and are affected by the same low level of melanin. The effect on the eyes involves both the pigmentation of the iris and the way the light refracts through the eye. As a result the intensity of blueness varies between cats. Three cat breeds that often have this color combination are the Turkish Van, Turkish Angora and Khao Manee. The Turkish Van and Turkish are natural breeds and the Khao Manee an ancient Thai breed. In each case the most prized cats are those which are have one blue eye and another odd. The odd eye may be green, yellow, amber or gold. 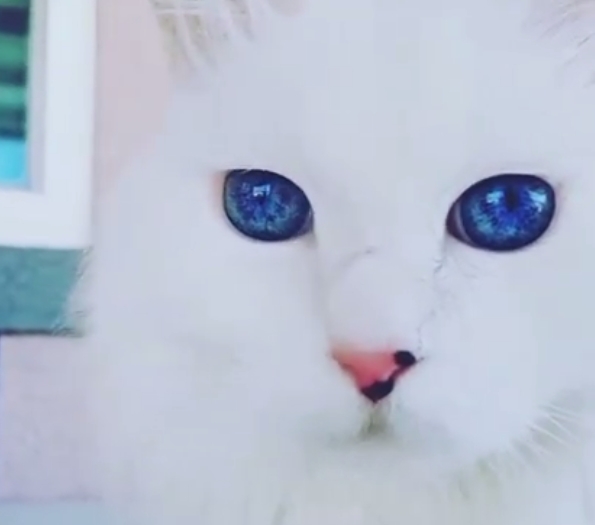 Many cultures believe such odd-eyed cats bring good luck. It is very possible that the deep blue eyes of this breed could become more common in the future. 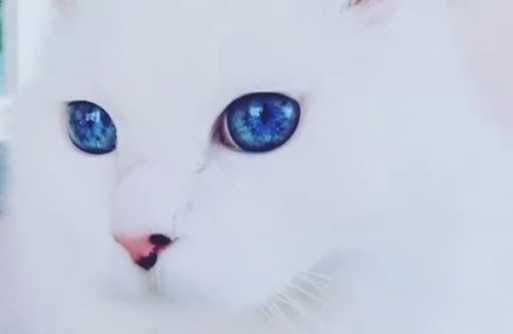 Even if this happens, white-cats-with blue eyes will almost certainly remain very special. Responses to "White Cat Who Has The Entire Universe In It's Eyes. (VIDEO) "